cancer n. any malignant tumor . . . Metastasis may occur via the bloodstream or the lymphatic channels or across body cavities . . . setting up secondary tumors . . . Each individual primary tumor has its own pattern . . . There are probably many causative factors . . . Treatment. . . depends on the type of tumor, the site of the primary tumor and the extent of the spread. (Oxford Concise Medical Dictionary 1996, 97) Let us begin by stating the obvious. Acts of organized violence are not necessarily of human nature, but they are endogenous events arising within the an intrinsic part evolution of complex systems of social interaction. To be sure, all wars have features in common - people are killed and property is destroyed - but in their origin wars are likely to be at least as different as the social structures from which they arise. 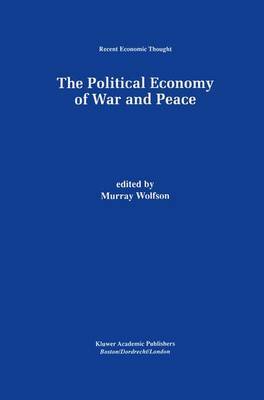 Consequently, it is unlikely that there can be a simple theory of the causes of war or the maintenance of peace. The fact that wars are historical events need not discourage us. On the contrary, we should focus our understanding of the dimensions of each conflict, or classes of conflict, on the conjuncture of causes at hand. It follows that the study of conflict must be an interdisciplinary one. It is or a penchant for eclecticism that leads to that conclusion, but the not humility multi-dimensionality of war itself.